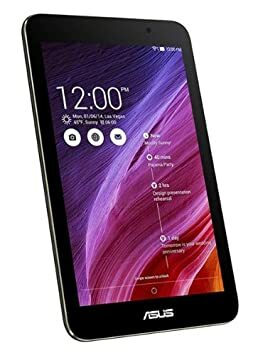 On my personal Facebook, I had talked about my previous tablet (ASUS Transformer Prime – TF-201) dying on me after about two years of abuse and considering the timing, I just wanted a cheap tablet. Thankfully I saw this one and after a lot of reading and watching Youtube videos about it, I decided to purchase it. The $150 price tag really helped cause it still left me with a lot of cash that I could toss for a much more capable machine fairly soon. A lot of people as asking me about how this device handles, so here I go. DISCLAIMER: This is an informal review. I am not a professional tablet reviewer but instead an enthusiast. It is also my opinion that there is nothing that beats actually getting your hands on the camera in question. 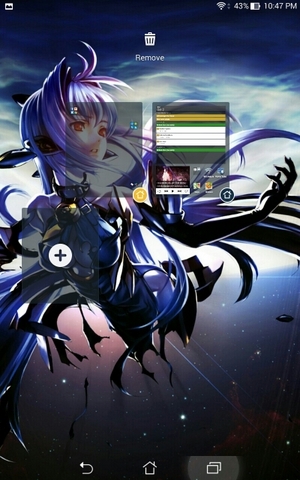 You can of course customize where your icons and wiglets are as well as how many home screens you can have. This tablet is basically an everyday tablet. It can handle most things web browsing and email, social media, streaming as well as playing videos, and most smartphone / tablet Android games very well. The MeMO Pad 7 (2014) is light, portable, and relatively cheap so feel free to carry it around. As a 7-inch tablet, it’s one-hand capable for most people (for my large hands, I can hold it one-handed easily, even with the leather case. While 16-GB (11 GB in actuality) isn’t much in today’s market, it does have a micro-SD slot for up to 64 GB of storage (looking at you, Apple). For the price, the tablet feels pretty nifty despite the 1 GB of RAM, but the ZenUI (Android 4.4.2 KitKat) and the bloatware it comes with actually does little to hurt performance. Just treat it as a cheaper 7-inch tablet and it will handle most things well. Of course, with the low price tag, there are a couple of corners that were cut. Indoors, the screen is nice and vibrant, but don’t expect the rear-facing speakers to be loud enough for anything above casual conversations. Things get a lot worse when taking it outdoors as the reflective screen and somewhat low maximum brightness makes anything more than reading a book on Kindle or reading wikipedia hard under direct sunlight. That battery can potentially last all day if you stick to email, web, and reading and charging with the bundled charger takes about 90 minutes.. And with the unfortunately placement of the micro-USB port at the top of the device (alongside the audio jack), it’s a little more uncomfortable to play games. Also, this device is only moisture resistant, so don’t dunk it in water and watch out for your microSD card as there is no protective flap to prevent it from getting knocked out (unless you have certain cases like I do). Not much different than pure KitKat 4.4.2 (CM11). 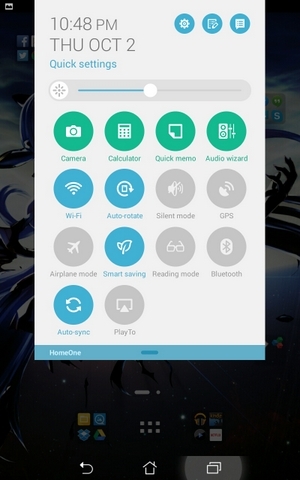 Interface is pretty self explanatory and the bloatware is minimal at worst. One of the neat things about this tablet is that it does come in a variety of colors (I chose black because I’m boring like that). There is no ambient light sensor so it won’t automatically adjust the brightness if you walk into a darker room, but then again that feature always takes more battery so I’m fine without it. The pixel density is around 216 ppi (I had to look that up) but honestly, I didn’t really notice pixelation on the text reading or when viewing most web images. Running HD videos is somewhat of a drain and heavier games will start to drain the battery from the usual 9 hours of on-screen time to about 4-5 depending on how much connectivity and screen brightness is used. I’m still getting used to the power and volume button placement as many times I would try to lower the volume and instead turn off the screen. Also since it’s a small, cheap tablet, there is not micro-HDMI port, but it does support Miracast (so you can WiFi it to your SmartTV/Dongle but I haven’t tried it yet). For the price, the tablet packs a lot of kick. Usually a cheap tablet means it’s slow and clunky, but the Intel Atom processor works a lot better than most cheap ARM processors meaning tasks don’t start to chug unless you have too many open or if your WiFi connection is bad. Unfortunately, it does share a similar price point with the Nexus 7 (2014 version) which does have a better screen and processor for a slightly higher price and no microSD-slot. For me though, the MeMO Pad 7 sold me on the expandable storage and being slightly cheaper. ~ by BlizzardTerrak on November 3, 2014.